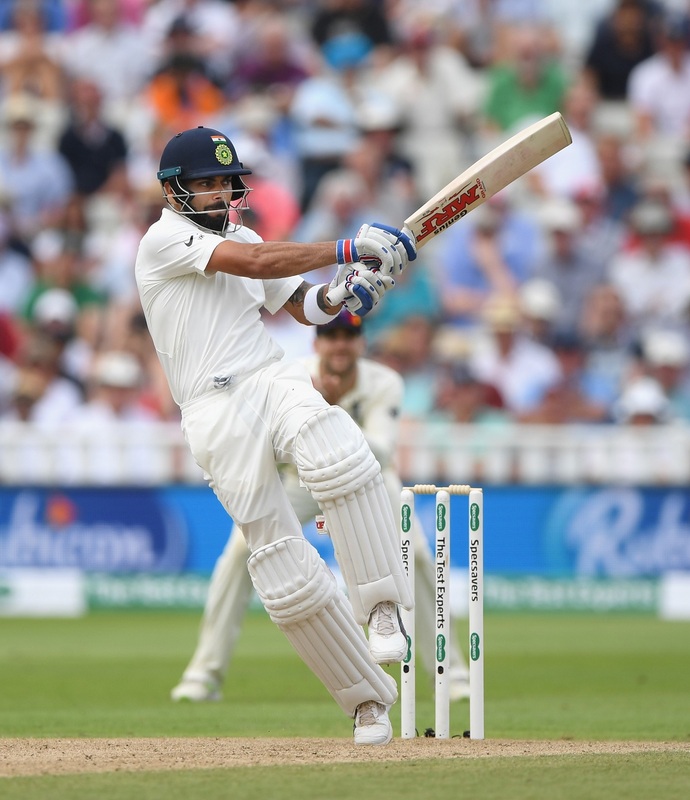 Former India skipper Sunil Gavaskar believes an adjustment in bat-speed helped Virat Kohli do well in the first England vs India Test. When Kohli had toured England in 2014, he had endured a terrible time in the bowler-friendly conditions. The right-hander had scored just 134 runs in 10 innings during the last tour. The English bowlers had constantly troubled him by bowling just outside the off-stump. Not surprisingly, the cricket world was eager to see how the India skipper would fare in his latest outing in England. And Kohli went on to show that the last tour was just an one-off. He scored a splendid 149 in the first innings of the Edgbaston Test to bail India out of trouble. India were 100 for 5 and were looking set to concede a massive lead to the hosts. 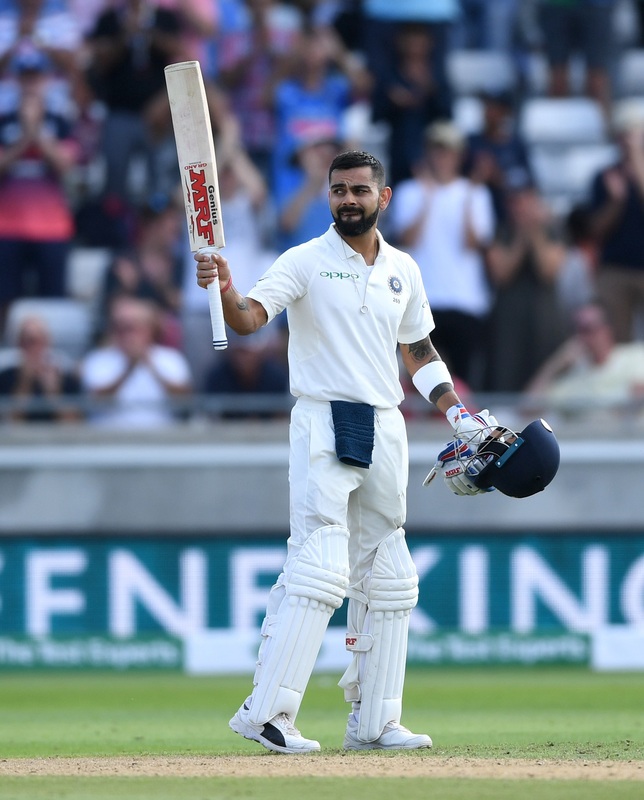 However, Kohli’s century helped India post 274 in reply to England’s 287. Kohli once again top-scored for his side in the second innings, scoring a fighting 51. But lack of support from other end once again saw his heroic effort going in vain. And Gavaskar believes fine-tuning his bat-speed has helped Kohli pass the litmus test in England. “It’s brilliant! The adjustment that he’s made in his bat speed. In 2014, he was feeling for deliveries outside the off-stump. Now he’s waiting for the ball to come, not pushing at the ball as much. At the start, he does. But that happens with everyone,” Gavaskar, an expert with official broadcasters Sony Pictures Network, told reporters. “The way he’s made that adjustment, mental adjustment, that is brilliant, fantastic. And that is the reason why he was able to get big runs. It’s just that little technical adjustment where he’s not pushing and playing close to the body,” explained Gavaskar. The legendary batsman further said that the English conditions demand a lot more footwork and patience. “It demands a lot more of your footwork, patience, because the ball keeps moving off the surface. You will get the odd scoreable deliveries which you must capitalise on. But in conditions in England like it happened in Birmingham, you have to be more watchful. “We did not except such a thing because in June and July the weather was like you get in India. You can never be prepared for these kind of conditions. For players from the sub-continent, it’s not very easy. Which is why I keep saying one must play more red-ball cricket, because that gives you a little bit of idea.